[English: Dharwar mission house, A.]" "[original caption] Dharwar Missionshaus, A." [Commentary]: Building plan with ground plan and elevation, includes detailed key. Title: "Dharwar mission house, A." 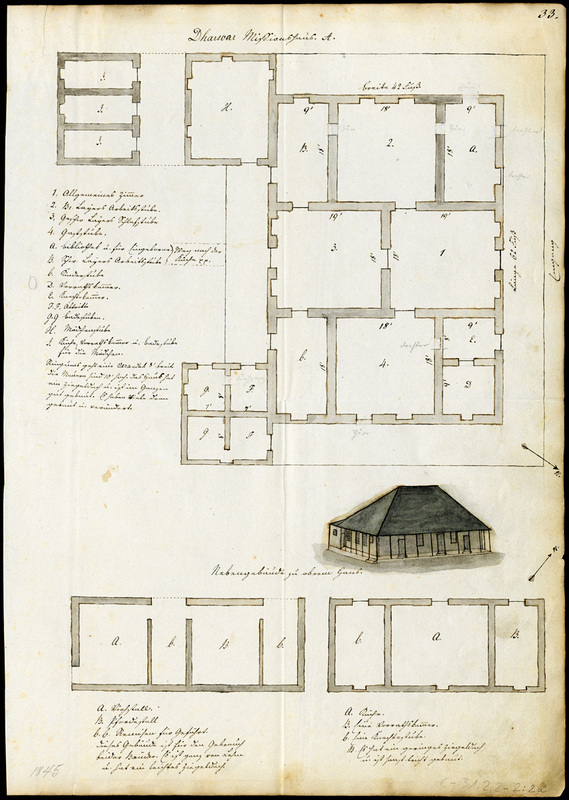 Huber, J. , “Dharwar mission house, A.,” BMArchives, accessed April 19, 2019, http://www.bmarchives.org/items/show/100200493.